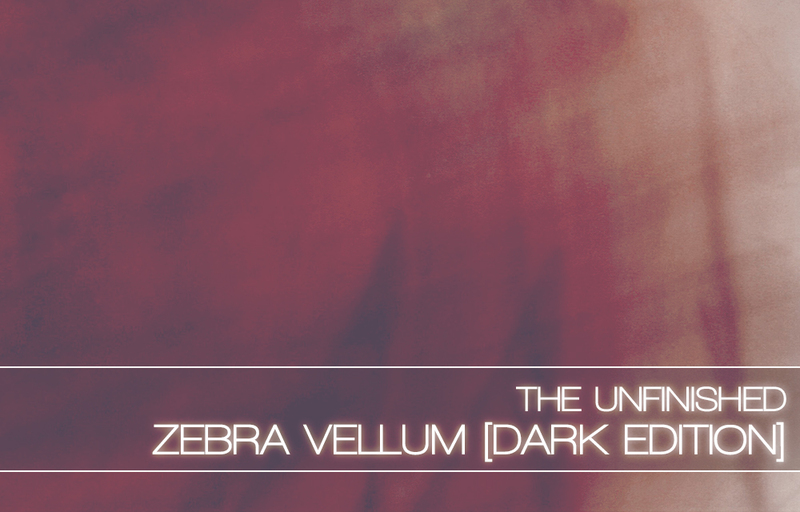 Zebra Vellum: Dark Edition is a collection of 400 cinematic patches for u-he’s Zebra2 and ZebraHZ synths. This soundset is designed to encapsulate a special world, where sci-fi meets ethnic, where epic meets intimate. An elemental, enticing, widescreen romance of small stories told on a huge scale. Think Cliff Martinez’s Solaris, Bear McCreary’s Battlestar Galactica, John Murphy’s Sunshine or Greg Edmonson’s Firefly. Futurism and technology clash with the raw and the low-key: the tiny details of individual struggles drawn on a large canvas. The ambience within Zebra Vellum: Dark Edition reflects these stories. Sounds of glass, metal, wood, dirt and light, reflected in echoing spaces. There are lush mallet sequences, transparent glassy pads, grinding mechanical basses, rippling industrial soundscapes, blissful exotic leads and relentless colourful percussion. A true blend of the organic and inorganic. Simultaneously natural and unnatural. As well as providing a strong, naturalistic, sci-fi feel, this soundset has a great collection of sounds for all forms of modern hybrid scoring, and also ambient, industrial and electronic. This soundset comes with comprehensive programming via the modwheel and the performance X/Y pads, giving the sounds extra life and you extra control. The Dark Edition takes the original 200 patches, remixes and optimises them for ZebraHZ, to give a darker, more analogue vibe. The Dark Edition also contains the original 200 patches. Zebra Vellum: Dark Edition is available for £34.99 +VAT, with the original version at £24.99 +VAT. You can download some demo patches to try out.